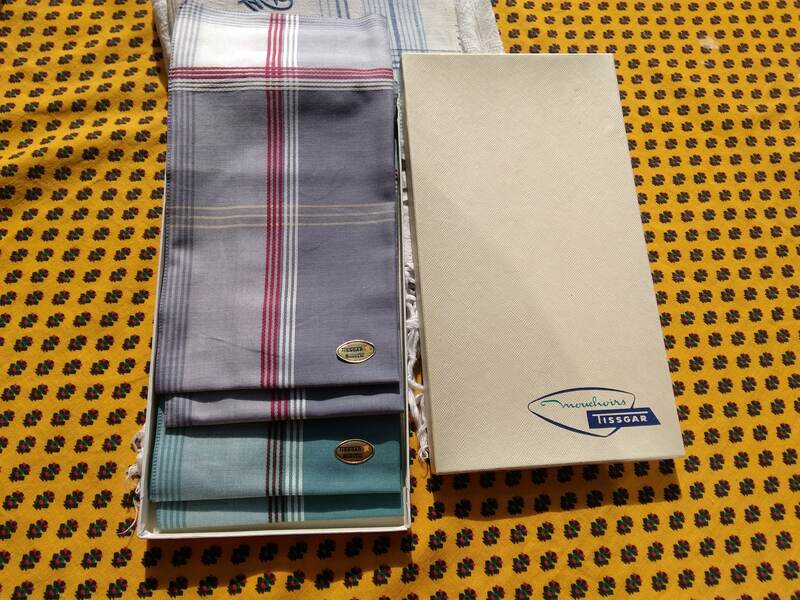 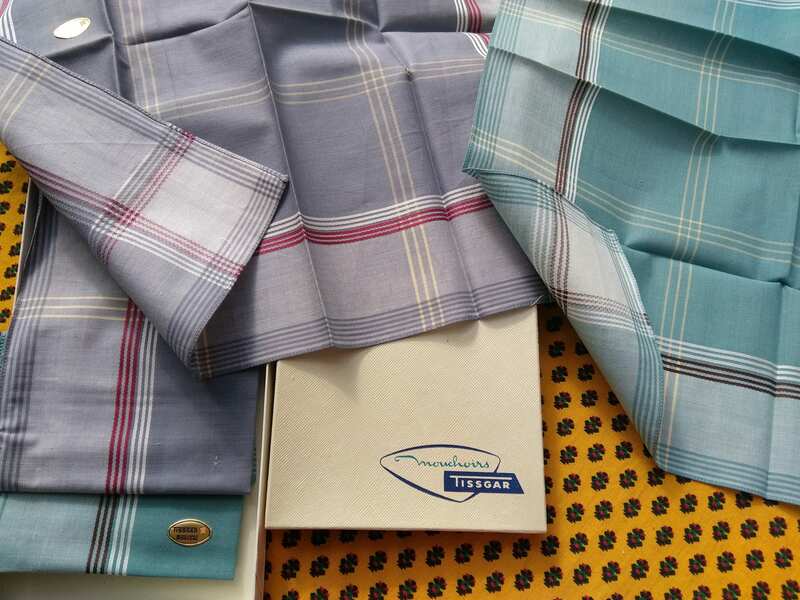 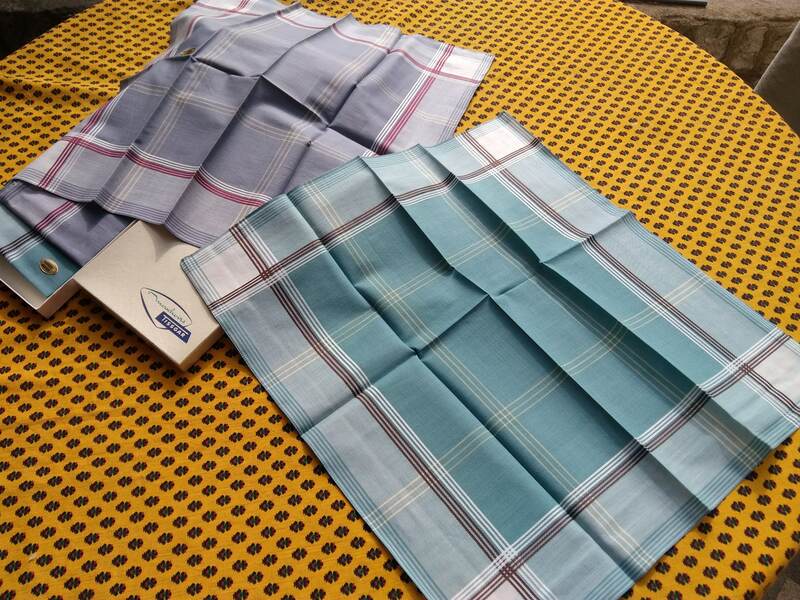 4 Mid-century Large French Men's Handkerchiefs. 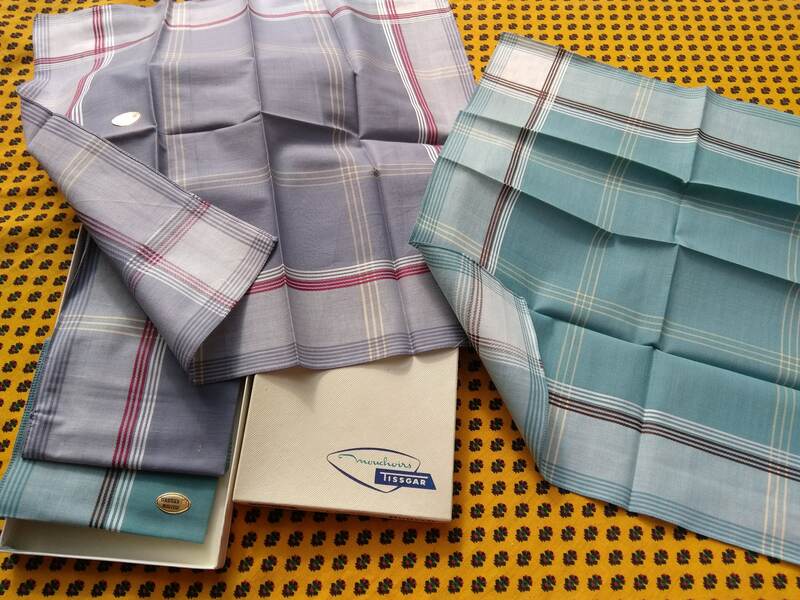 Gray and Green plaid cotton made . 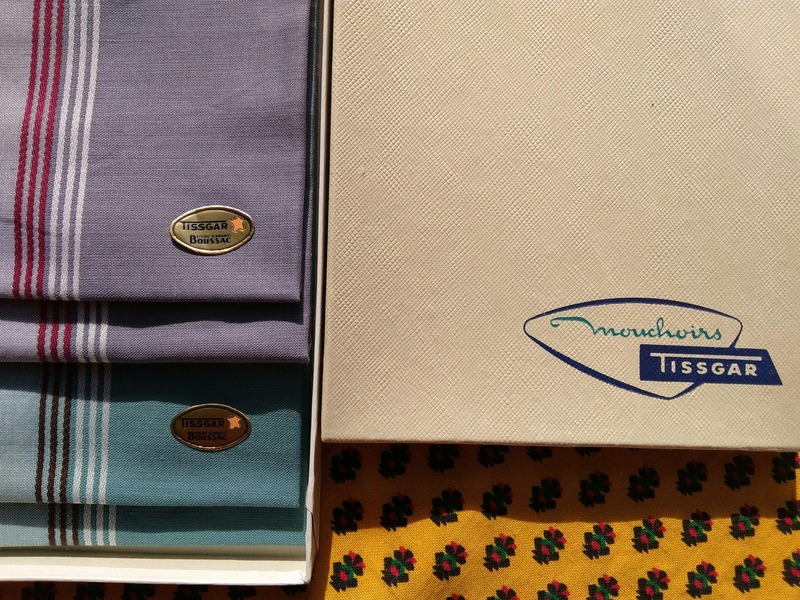 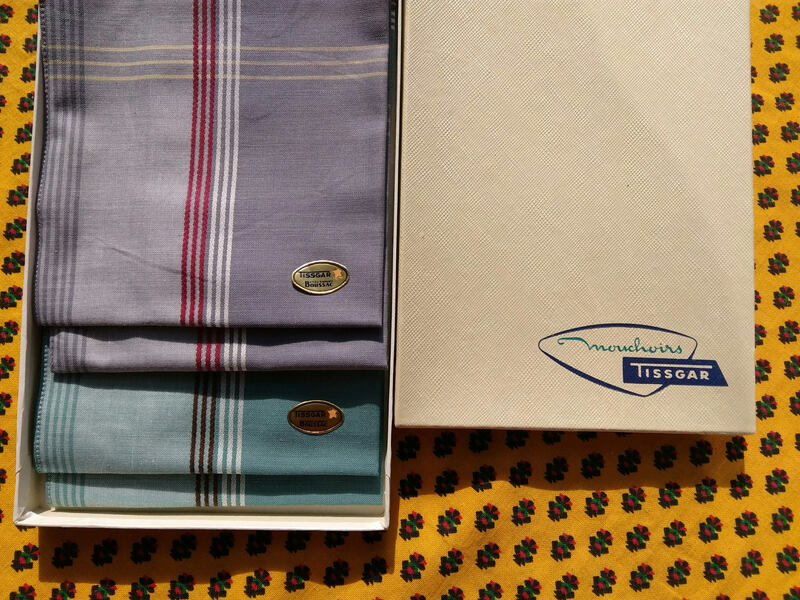 Set of 4 hankies Tagged TISSGAR (Boussac) Lanor pattern in their original box. 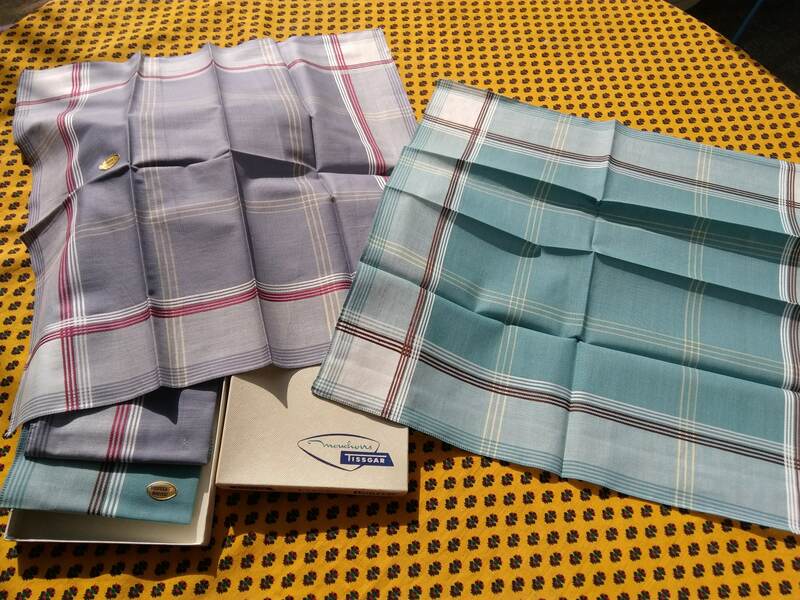 Beautiful set of French hankies.